Oxiracetam is perhaps the most popular Nootropic on the market and is known for being an effective cognition booster and stimulant. It also earned this reputation through its reasonable cost, availability, stackability and safety. Oxiracetam is the ultimate in cognitive enhancement, having a positive effect on much of the cognitive process. It is known to improve attention span, memory, learning capacity, focus, sensory perception and logical thinking. Oxiracetam also has stimulating effects, improving energy and alertness. It’s known to be effective and safe in the long term and has even been considered an effective treatment to keep the brain healthy. Oxiracetam was developed in the ‘70s and is a synthetic derivative of piracetam; the grandfather of smart drugs. While it works in much the same way as any other racetam, Oxiracetam is considered to be five times as effective as Piracetam. Oxiracetam is a very well-tolerated nootropic and it comes with no known side effects. Even so you should remember that it is still very potent and avoid overdoing your doses. There is a lot of debate over the ideal daily dosage, with the average daily dose falling anywhere between 800mg and 2400mg a day split across two or three doses. While there have been studies that show taking more Oxiracetam doesn’t cause negative effects, it’s always worth starting with a lower dose and increasing the dose as needed. Many people find that a daily dose of between 800 and 1200mg split across two or three 400mg doses is a safe and effective amount. Oxiracetam is a water soluble Nootropic, meaning it mixes easily and can be taken as either a capsule or a powder with or without a meal. 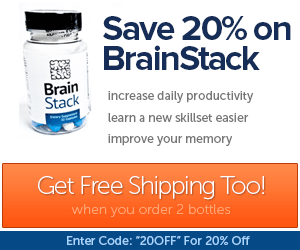 Memory Booster – Oxiracetam can improve your general memory; improving both memory formation, retention and recall. Many people take it when they are taking their exams or studying subjects that require a lot of logical thinking, but it can be an effective tool for studying the conceptual and creative. Enhanced Logical Thinking – While many users say that Oxiracetam improves their overall learning and memory, a large percentage of these users also say that they see a dramatic improvement in their ability to think logically. Other users have also praised it for improving their skills with reasoning and analytics. Improved Learning – Practically everyone who takes Oxiracetam says that it makes you learn faster, and this has been proven with animal studies. The reason for this effect could be that it improves memory formation and recall, but it could also be caused by the improved thought flow of Oxiracetam users. Improved Focus and Concentration – Oxiracetam has been shown to improve concentration and focus in users. It makes it easier to stick with something for a long period of time without losing interest or attention. While virtually every racetam boasts this ability, Oxiracetam is considered to be the most effective at it and is therefore the most popular with students taking exams. Sensory Perception – Many people who take Oxiracetam report that it improves their sensory perceptions. Sounds appear deeper and more complex, and people see more colors and in greater contrast. This effect could be caused by how Oxiracetam improves left-brain function. Increased Energy – Oxiracetam works to stimulate your central nervous system, which boosts both your physical and mental energy. It does this without also causing the jitters that come with amphetamines and CNS supplements. This is thought to be one of the best effects of the supplement, especially by students preparing for their exams. Oxiracetam is a powerful cognitive enhancer and central nervous stimulant. Remember that when one stacks racetams it tends to multiply their effects rather than just increase them. One good Oxiracetam stack is to stack it with choline. Whenever you take any racetam Nootropic such as Oxiracetam you should also supplement choline. This improves the effects of it while also preventing the headaches that can come with taking it. An example of a Oxiracetam and choline stack would be take 800mg of Oxiracetam alongside 300mg of Alpha GPC.